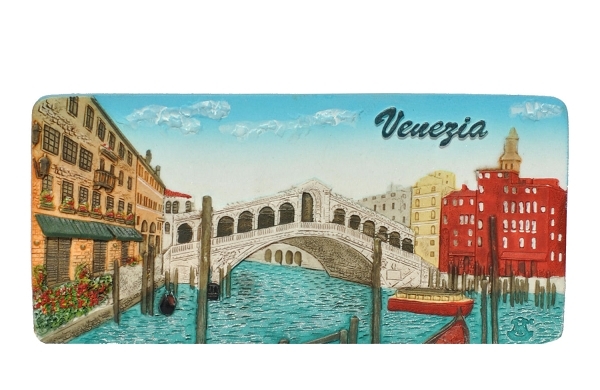 Ceramic embossed fridge magnet featuring panoramic view of one of the most admired sights of Venezia - the Rialto Bridge, spanning over the Canal Grande in the center of the town. Perfect memory of your walks around Venetian streets and ship rides over the canals to be put on the door of your fridge. Elaborated in high detail and fidelity to preserve realistic view of the city. Made of non-glazed ceramic, hand painted.